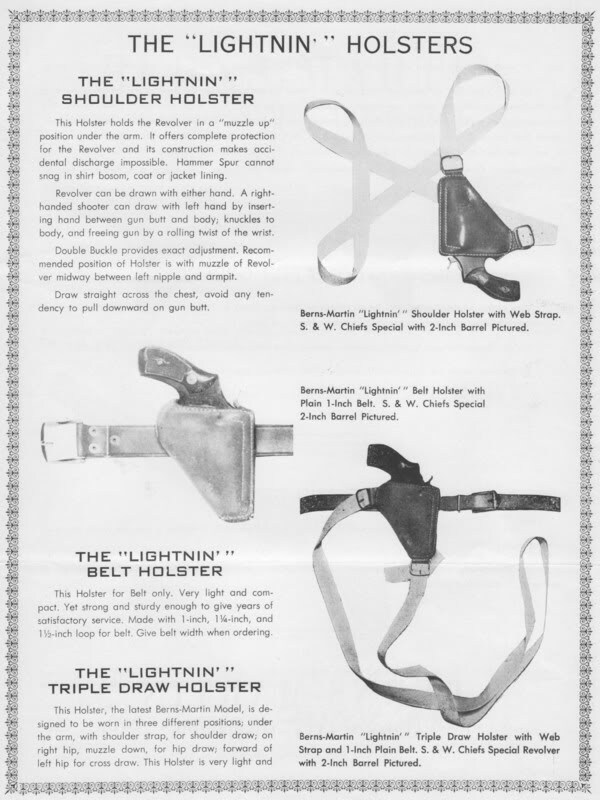 Fantastic post, and what a beautiful holster. The size and design could be slightly modified by a good leather Smith. 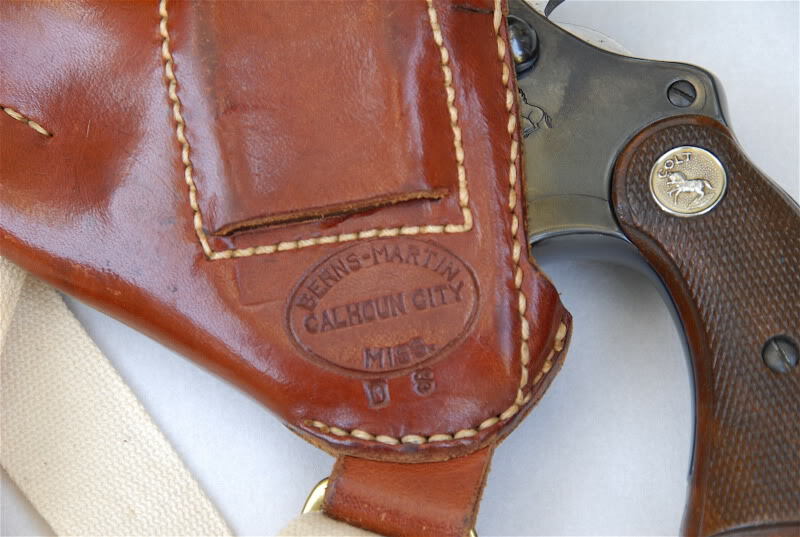 “Wet” the leather to form fit a Walther PPK, sew in a piece of spring steel to aid retention and “voila” a Berns Martin holster fit for the king of spies Bond James Bond. 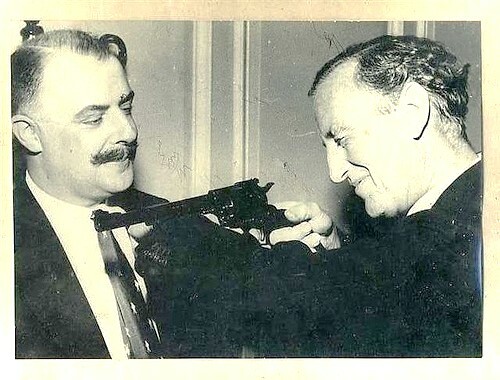 Fleming should have stuck to his gun and his holster. The Beretta .25 was the correct gun for an undercover agent like Bond and Fleming knew this from his experience in World War Two. The Walther PPK was too large to conceal and the Berns-Martin was designed for a heavy revolver and not James Bond’s style at all. I have a Beretta 418 .25. If you shoot someone with it, you better hope they don’t notice or they’ll beat the crap out of you. It’s true that Walther are terribly over-rated and only Bond keeps them in business. 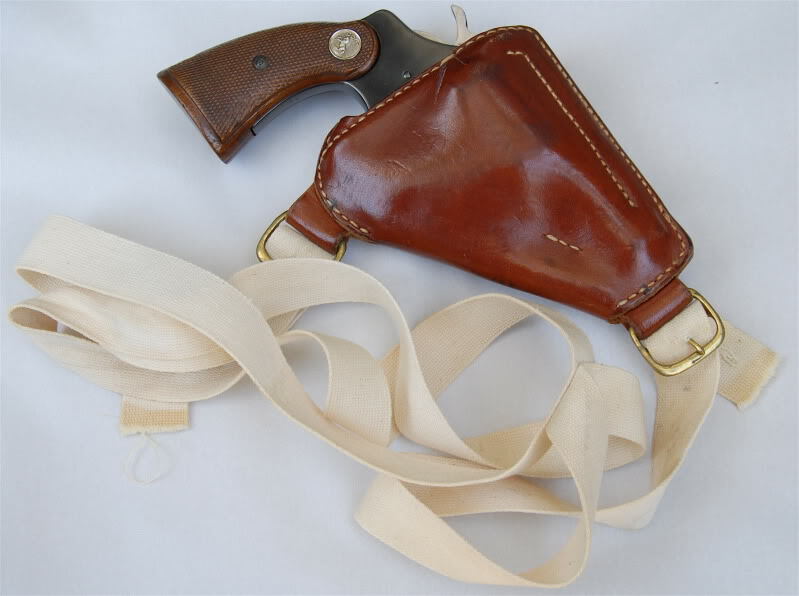 But there were plenty of small revolvers and small pistols Bond could carry discreetly, in a holster or jacket pocket.